David M. Roth brings over 30 years of legal and business planning expertise to his role as the Vice Chairman of Blue Equity, LLC. During his career, Roth has shepherded a myriad of business acquisitions and dispositions, private placements, commercial financing transactions, thoroughbred horse transactions, nursing home deals, real estate ventures, private foundations, and other business, securities and investment transactions involving more than $1 billion in all. Before joining Blue Equity, Roth owned a private law practice and was a founding member of Roth, Foley, Bryant & Cooper. He also handled virtually all of the business and investment transactions for Cobalt Ventures, LLC, and its affiliates, a predecessor organization in part to the Blue Equity group. During that time, Roth conceived and implemented the acquisition of the Tumbleweed Southwest Grill restaurant system and the private placement funding for that acquisition. Roth is currently a Director of Tumbleweed, Inc., and was involved both in the direct public offering of the stock of that company and its subsequent “going private” transaction following the passage of the Sarbanes-Oxley bill which would have substantially raised the accounting and compliance costs of the company and materially affected its ongoing financial results. In addition, Roth conceived and became a founding partner and General Counsel of a limited partnership designed to pursue various opportunities in the life insurance industry. The partnership joined with an affiliate of Morgan Stanley, Inc. to form ARM Financial Group, Inc., and acquire the United States operations of one of the largest insurance companies in Australia. Through an Initial Public Offering, ARM Financial subsequently became a $5 billion publicly held insurance holding company listed on the American Stock Exchange and remained successful throughout the period of Roth’s affiliation and long thereafter. For 11 years prior to that time, Roth was a partner in the law firm of Greenebaum, Doll & McDonald, where he concentrated on business, estate and tax planning. Roth began his legal career as an attorney with the Internal Revenue Service in the Washington, D.C. Office of the Chief Counsel, Interpretative Division. Roth is currently a member of the American Bar Association, Kentucky Bar Association and Louisville Bar Association. 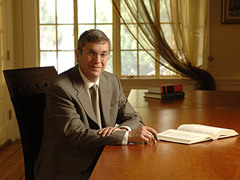 Roth received his Bachelor of Science in Finance, with distinction, from the Indiana University School of Business and received his Juris Doctor from Boston University School of Law. He also holds a Master of Laws in Tax Law from Georgetown University Law Center. Roth is involved in numerous charitable and community activities. He is Chairman of the Louisville Theatrical Association, which is the umbrella organization for the presentation of Broadway road shows in Louisville. Roth is a past president of the B’nai B’rith Hillel Foundation at the University of Louisville, and is a director of several local private charitable foundations. Roth served in the United States Coast Guard Reserves from 1968 to 1975.